Qutb-ul Aqtaab Naqib Al Ashraaf Syed Abd ar-Rahman al-Qadri al Gillani (Arabic: عبد الرحمن الكيلاني النقيب‎) was the first Prime Minister of Iraq, and its head of state, born on January 11, 1841. He is 15th direct descendant of Abdul Qadir Jilani, the Cardinal Sufi Saint in Islam. Al Gillani was chosen in 1920 to head the Iraqi Council of Ministers following the dissolution of the Ottoman Empire. He used his influence to oppose the appointment of Faisal I as King of Iraq and resigned his post when his efforts were defeated. Nevertheless, Faisal reappointed him as prime minister in order to curb opposition. In 1922 Gillani negotiated the first Anglo-Iraqi Treaty, which ensured nominal independence for the country, though Britain maintained control of the military and foreign affairs, essentially establishing a Mandate in the country. Opposed to these results, Gillani resigned shortly after. 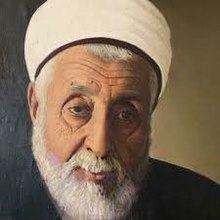 Gillani died on 13 June 1927 in Baghdad, aged 86.